My favourite subject at school was History of Art – I loved finding out the stories behind a picture and I loved how the more you looked, the more you saw. I’ve spoken before (here) about taking my kids to art exhibitions in the hope that I can inspire some of my interest to rub off on them and I recently discovered this book which is particularly helpful in my mission. 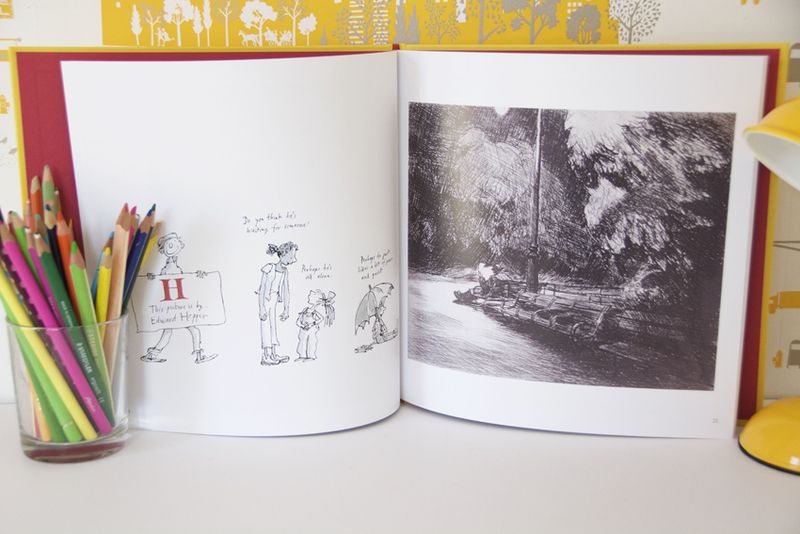 Back in 2001 Quentin Blake curated an exhibition for the National Gallery called ‘Tell Me a Picture’ and this is the book that accompanied it. He chose 26 paintings that he personally liked and he curates them alphabetically to ensure they are all treated equally. He invites us to look at them, ask questions and discover them for ourselves. The exhibition was introduced by a collection of children, whom Blake drew onto the walls next to the paintings and who told you the name of the artist and maybe the painting too and themselves gave you their point of view “well I feel sorry for the dragon. What has it done to deserve that?” (about ‘Saint George & The Dragon’ by Paolo Uccello) to start you off with your own views and questions. 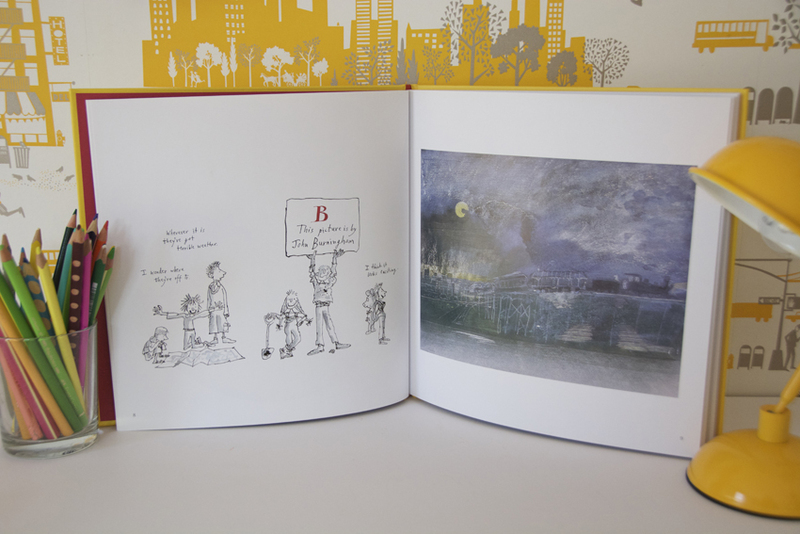 These characters have made it into this book and for every painting there is a Blake illustration of children already discussing it – it makes for a charming conversation to have with your own children. This book is not heavy on facts about the paintings chosen (there is a short paragraph about each painting and where the painting can be found at the back of the book). 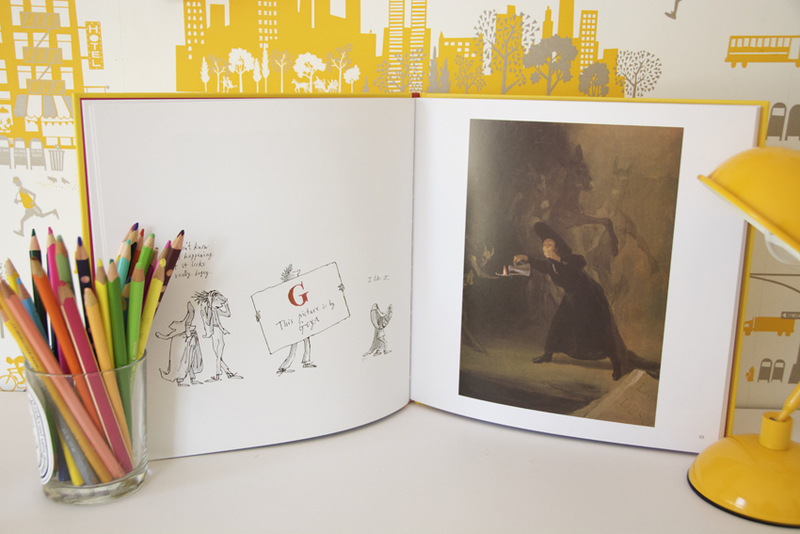 The paintings have been printed full page to allow us, the readers, to properly study them and make up our own minds – this is more an exercise (or adventure as Blake puts it) at learning to look at art and it’s great fun! This book is available to buy here in the UK or here in the US. Thanks for the review. I love his work and had no idea about this book! Happy 2016 from Barcelona! Thanks. 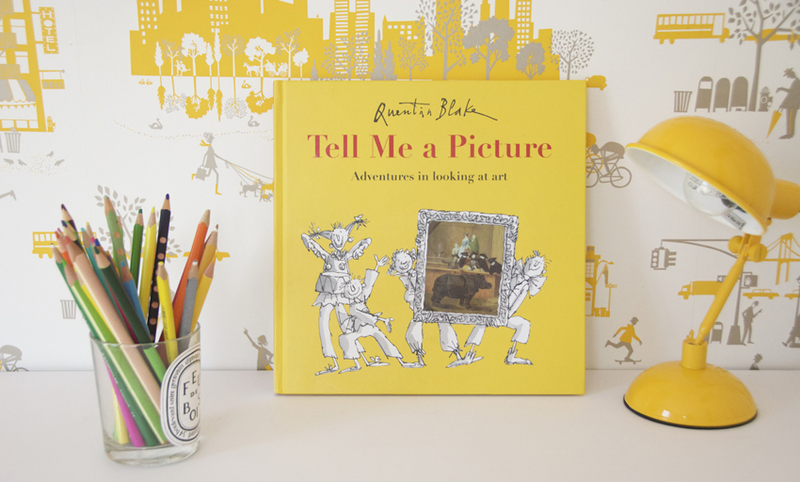 I always take my 3 boys to exhibitions in London as well and will continue again this year (I got a tate membership from Father Christmas) and I love the idea of paintings explained for children. Can I also ask, what is the wallpaper you got on your wall? I love it and my eldest favorite color is yellow!! Thank for your amazing blog!! It is indeed wallpaper from Famille Summerbelle – I love the yellow too! Hi Esther – They were all part of the National Gallery’s collection when Quentin Blake was asked o curate a selection to be more accessible to children so I guess they are all still there (unless on loan?!). It’s a really interesting way to curate an exhibition – just by alphabet – so it is an entirely random collection, just meant to inspire conversation. Smallprint -- an independent bookstore with a neighbourhood feel, but online! Baby Loves Science -- little books about big ideas!